Early this month we started testing some exciting upgrades to our notification feature. Our aim was to make it more easily accessible so admins can keep all personnel skills and certifications current without digging through menus for the different notification functions. In the process, we also made it more functional. 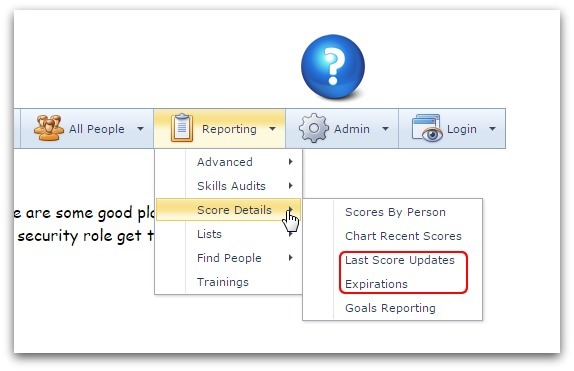 Notifications are used to locate employees who have expiring certificates, or who have not updated their skills in a while. Search returns all who haven’t updated their skills after selected date. And so we moved notifications to their own special place under the “All People” menu. 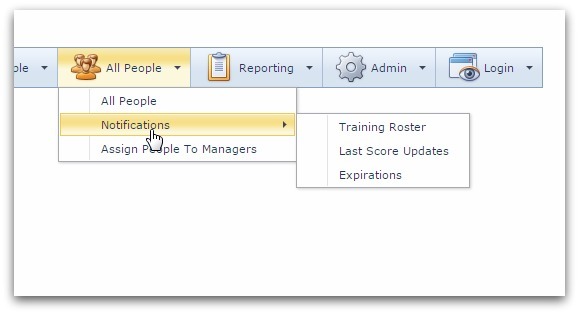 We also grouped the Training Notification function (used for reminding employees of upcoming training) into this menu. Before now, it could only be accessed through the training module and was separate from other notification functions. But since we added it to this menu, all notifications are now located in the same place. To save your precious time, we added a new option that makes it easy to select a “Last Update” date range. 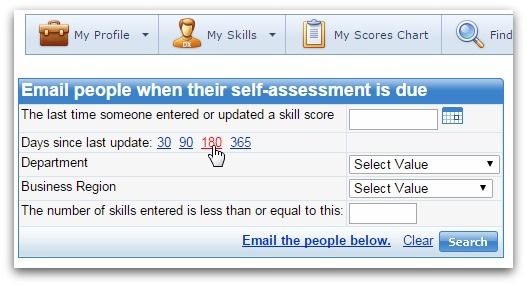 Let’s say you wanted to find people who have not updated their skills in the past 6 months. Without this new option, you’d have to say: ok so today is 24th August 2015, 6 months ago was February – March, April, May, June, July, August, alright 6 months ago was February 24th. Yeah, so I have to enter 24th February 2015. But now, all you have to do is click 180 in the “Days since last update” option, and you’re done! Under expirations, this option is labeled “Days until certificate expires”, and it also provides a predefined number of days that you can click on to see who needs to update their certificate. Though this seems like a little upgrade, I found it made notifications a pleasure to use. I hope you will have the same experience. And if you have a feature in mind that you think we should add, or you feel one of our features can be improved on, please contact us about it. We always appreciate your inputs and suggestions.